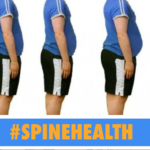 Up to 25% of all low back pain can be attributed to the sacroiliac joint. 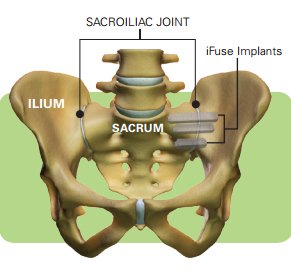 If you have suffered from sacroiliac joint pain or degenerative sacroiliitis, then the iFuse Implant System® may be the answer you have been seeking to relieve your pain. iFuse is a minimally-invasive surgical procedure for permanently stabilizing and fusing painful sacroiliac (SI) joint disruption using triangular titanium inserts. The iFuse procedure represents a dramatic change in the way that sacroiliac pain is treated; it’s a paradigm shift in pain management – and works wonders for patients who have SI pain. iFuse surgery is a potential option for patients with symptomatic SI joint pain who haven’t responded to conservative treatment, such as physical therapy, exercise, or medications, for more than 6 months. Less than 10% of our patients need any kind of surgery to help alleviate their pain. 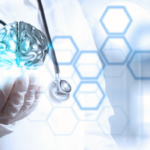 Every pain management treatment option is thoroughly explored before surgery is considered. Our goal is to provide patients with the most up to-date care to relieve pain and hasten recovery. The iFuse surgery is performed under general anesthesia with fluoroscopic guidance. It requires careful pre-operative planning and positioning of the patient on a radiolucent surgery table. A small incision is made over the lateral portion of the buttock on the symptomatic side and a Steinman ‘pin’ is inserted into the lateral wall of the pelvic bone (ilium), crossing the SI joint itself. From this, the size of the titanium dowel to be implanted is measured. The Steinman pin is then exchanged for a longer guide wire. The pre-selected implantable device is then advanced along the guide wire and into the bone, with a press fit that enhances stabilization. Once the joint is fused it remains solid forever. There is no replacement needed. Many iFuse patients have had previous unsuccessful lumbar fusions or have had their SI joint problem misdiagnosed or undetected, causing years of pain and a diminished quality of life. For my patient Ruth Culver, who had been in pain for years from a degenerative disc, the iFuse surgery was finally able to relieve her of that pain. 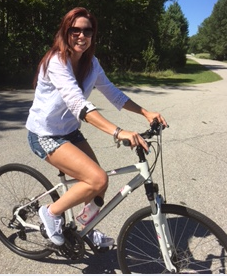 “Before I had the surgery, I felt like my pelvis was coming apart. I had so much pain in that area, I felt like I was walking on glass,” said Culver. The iFuse Implant System® is the only minimally-invasive SI joint product marketed to women, and is especially helpful treating pain related to pregnancy or giving birth. According to Joe Powers, vice president of marketing at SI-Bone®, the developers of iFuse, a significant number of women experience ongoing painful instability of the SI joint following childbirth. After a careful diagnostic workup, many of these patients benefit from the procedure. I have completed more iFuse procedures than any other doctor in the Annapolis area, and teach the procedure to other spine surgeons. More importantly, I have a patient satisfaction rate of 95% or higher. The iFuse procedure has allowed the MBSP medical team to offer new hope to many individuals who felt as if they had no hope of living pain-free, active lives again. 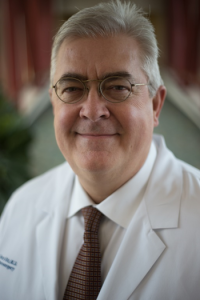 Dr. Dix is recognized as an expert and preferred provider of the iFuse Implant System®. Watch Dr. Dix’s video on SI Fusion. Contact an MBSP neurosurgeon today to find out if the iFuse Implant System® is right for you.